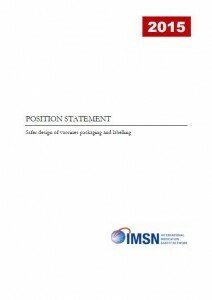 14 December 2015 - The International Medication Safety Network (IMSN) has issued a position statement that calls for greater worldwide attention to the problem of unsafe design of vaccine packaging and labelling. The statement calls on healthcare professionals, pharmaceutical companies, technology vendors, professional organizations, and regulatory/standard-setting organizations to help improve vaccine safety and efficacy. Packaging that minimizes the need to prepare individual doses, provides unit dose according to the mode of administration, and redesigned vials (where vials are still used) to accommodate larger labels. Labelling that uses larger fonts for better readability; adoption of World Health Organization Vaccine Presentation and Packaging Advisory Group (WHO VPPAG) expiration dates standard; provision of peel-off labels to facilitate syringe labelling; and improved differentiation of pediatric and adult formulations. -- Packaging that forces proper mixing of the diluent or of the two components of the vaccine; for example a two-chambered syringe or vial. If not feasible, vials of vaccine and diluent or second component should be packaged together without prejudice of storage requirements. reconstitution. Display directions and warning to administer contents of both vials together on the front label of each carton, vial, and vial cap. The label of diluents must primarily identify them as such and make it clear they are not the actual vaccine. For example, “DILUENT for preparing” followed by name of vaccine. Place warning on diluents that they are not the actual product. Healthcare authorities and regulators should promote safer labelling and packaging of vaccines and make available recommendations to healthcare providers for safer vaccination practices. 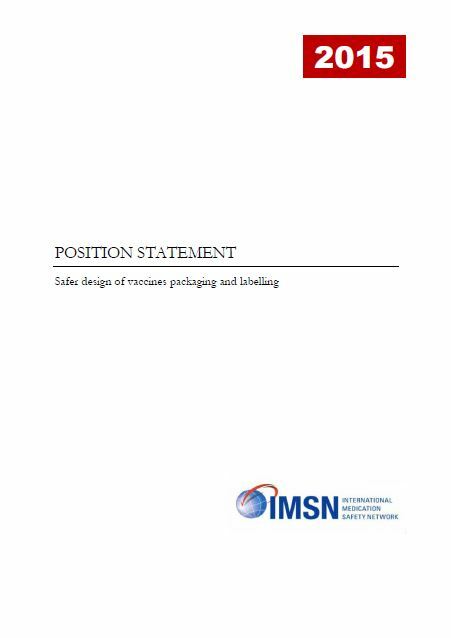 Vaccine manufacturers are strongly encouraged to revise packaging and labelling as specified, with particular attention on vaccines with diluents or two-component vaccines. For a complete copy of the position statement, click here. This entry was posted in Uncategorized on December 14, 2015 by Étienne Schmitt.